Last longer than this flower. Being real is the only true thing in the world. Does my verse make sense if the universe doesn't make sense? In geometry does a part exceed the whole? Have more life than the body? Drift indifferently down the river Tagus. Downriver toward the reality of the sea. For its true purpose wasn't noticed. This is my life, from verse to verse. I take joy in the fields without looking at them. You ask me why I take joy in them. Because I take joy in them, I answer. And have a notion of its scent in our vaguest thoughts. When I look, I don't take joy: I see. And only a trace of life is heard. I had a dream clear as a photograph. I saw Jesus come down to earth. And laugh in a way that can be heard from afar. He'd run away from heaven. With flowers and trees and stones. Just like the black men in those pictures. Because it wasn't of this world nor was it a dove. And his mother hadn't loved anyone before having him. In which he arrived from heaven. To preach unity and justice! He went to the miracle box and stole three. With the first he ensured that nobody would find out that he'd run away. With the second he made himself eternally human and a child. To serve as a model for all others. And came down on the first sun-beam he could catch. Today he lives with me in my village. He's a natural child with a beautiful smile. Picks flowers and admires them and forgets them. And scampers away, crying and screaming, from the dogs. And pulls up their skirts. He has taught me everything. He taught me how to look at things. He pointed out all the things that can be found in flowers. And look at them slowly. He speaks very badly of God. The Virgin Mary spends all the eternal afternoons sewing. And roosts in the heavenly seats and dirties them. Everything in heaven is silly like the Catholic Church. But living things don't sing anything. If they sang they would be singers. And that's why they are called living things". And I carry him into the house. He lives with me in my house on the hillside. He's the Eternal Child, the god that was missing. The divine one who smiles and plays. That he's truly the Child Jesus. Seems to speak to me. The Eternal Child always accompanies me. My glance follows the direction in which his finger points. Is the playful way he tickles me about the ears. Like a right and left hand. Should one fall to the ground. And he laughs, because everything is incredible. That throw smoke into the air on the high seas. And making one's eyes ache beside the whitewashed walls. After this he falls sleep and I put him to bed. An utterly maternal one, until he is completely naked. And plays with my dreams. I'll then be the child, the smallest one. And carry me into your house. And lay me in your bed. To send me back to sleep. That you already know of. This is the story of my Child Jesus. And all that's been taught by religion? 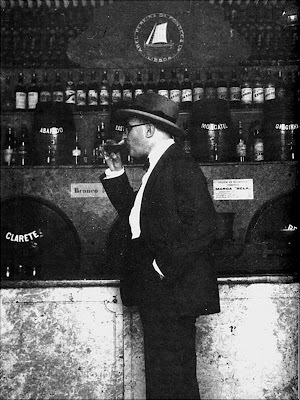 Fernando Pessoa was born in Lisbon in 1888. He spent much of his childhood in Durban, South Africa, returning to Lisbon at the age of seventeen. He earned his living as a writer of foreign correspodence for business firms, as a translator and horoscope seller. Pessoa created a wide array of characters in the theatre of himself (made up of at least seventy two "dramatis personae"), though the three heteronyms for which he is well known are: Alberto Caeiro, Álvaro de Campos and Ricardo Reis. He died in Lisbon in 1935. Michael Lee Rattigan was born in Croydon, England. His work has been published on the internet, in magazines (most recently in OtherPoetry and Phati'tude) as well as in book form: a chapbook of poems, Nature Notes and the first complete bi-lingual translation of Fernando Pessoa's Caeiro poems. Both published by Rufus Books.